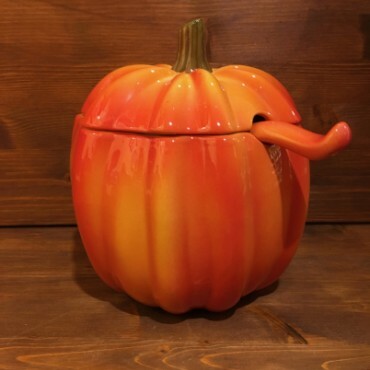 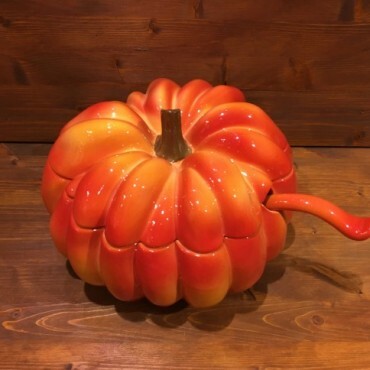 Pumpkin tureen, made and hand painted according to the art of Italian ceramics. 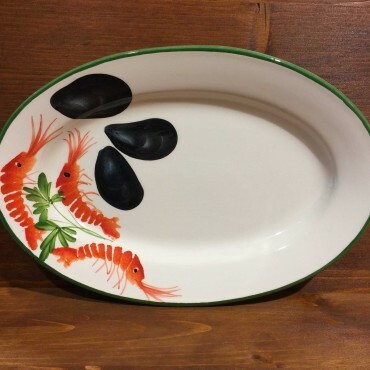 Oval plate decorated with Shrimp Mussels, made and hand painted according to the Italian art of ceramics. 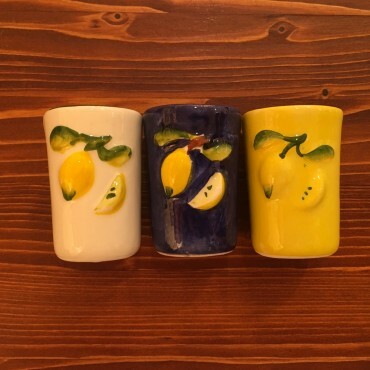 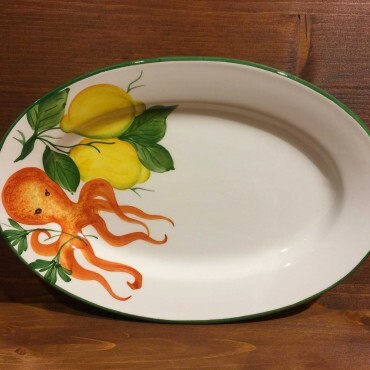 Oval plate decorated with Octopus and Lemons, hand made and painted according to the Italian art of ceramics. 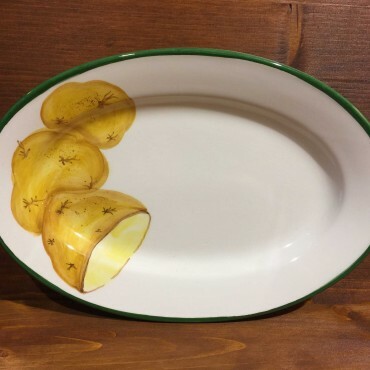 Oval plate decorated with Potatoes, made and hand painted according to the Italian art of ceramics. 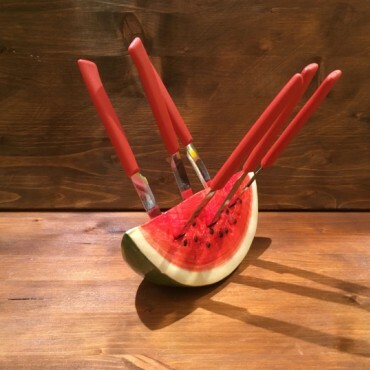 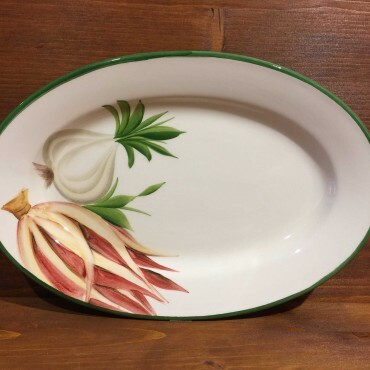 Oval plate decorated with red Chicory and Garlic, handcrafted and painted according to the Italian art of ceramics. 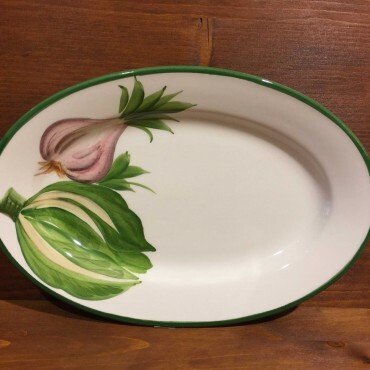 Oval plate decorated with green Chicory and Garlic, hand made and painted according to the Italian art of ceramics. 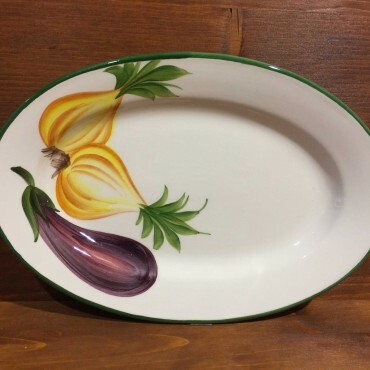 Oval plate decorated with aubergine and garlic, made and hand painted according to the Italian art of ceramics. 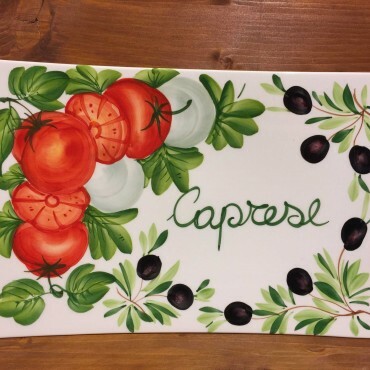 Party plate with Caprese inscription, decorated with mozzarella and olive basil tomatoes motif, perfect to serve on the table in an original and friendly way. 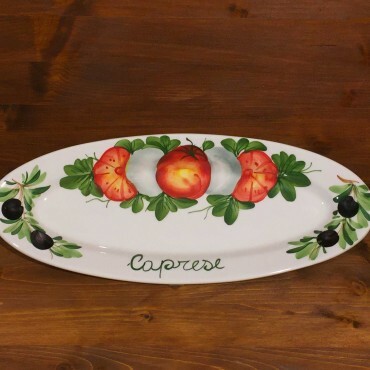 Oval plate with Caprese inscription, decorated with mozzarella and olive basil tomatoes motif, perfect to serve on the table in an original and friendly way. 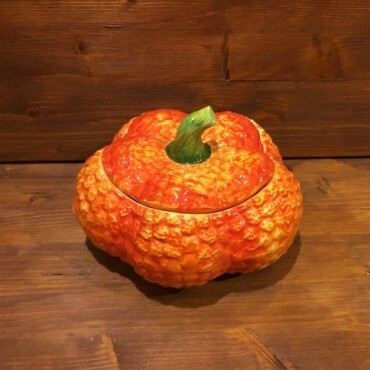 Rectangular plate with Caprese inscription, decorated with mozzarella and olive basil tomatoes, perfect for serving on the table in an original and friendly way. 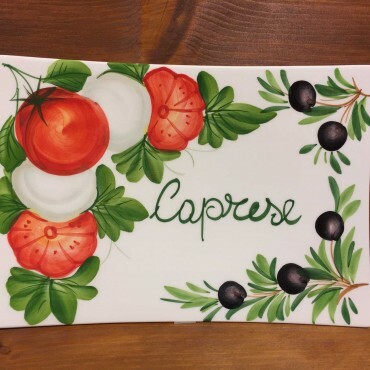 Rectangular plate with Caprese inscription, decorated with mozzarella olive basil and tomatoes, perfect to serve on the table in an original and friendly way. 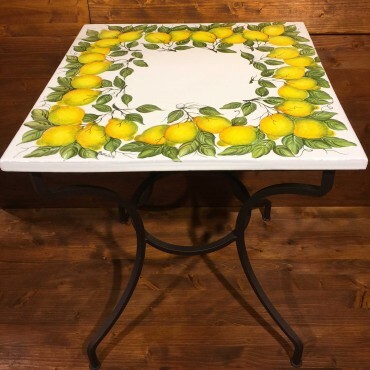 Wrought iron table, with ceramic plate decorated with Lemon Crown, withstands the elements and the heat, possibility of choice in the decorations. 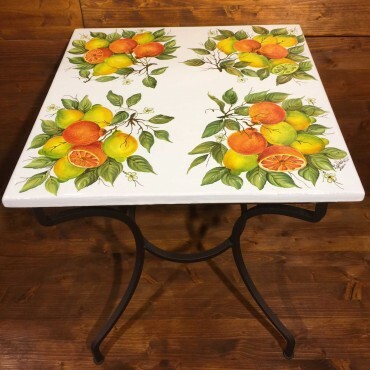 Wrought iron table, with ceramic plate decorated with Oranges and Lemons, withstands the elements and the heat, possibility of choice in the decorations.